My tween girls think brand new school supplies are the best thing about beginning a new school year. Picking out crisp notebooks and school supplies in beautiful colors and patterns is their back to school love language! 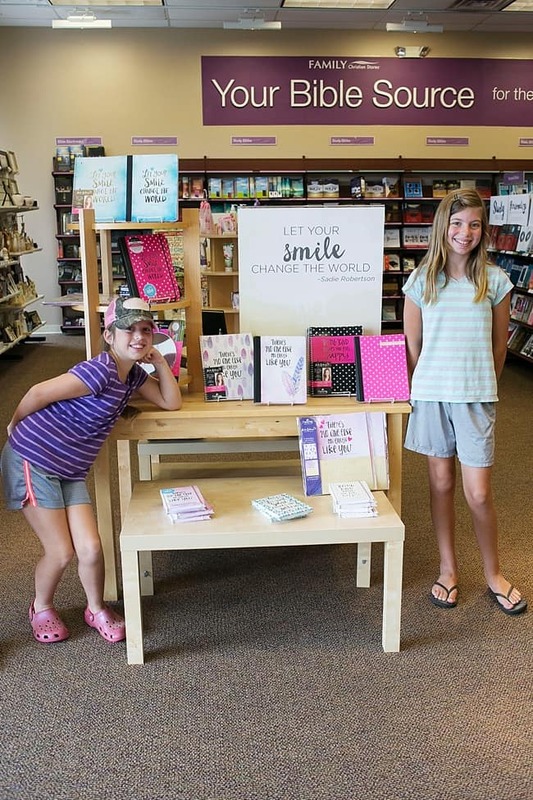 My girls and I were so excited for the opportunity to review Sadie Robertson’s new line of school supplies from Family Christian. We all love Duck Dynasty in this house. Tween girls included! Sadie’s message- Don’t live like a copy of someone else. 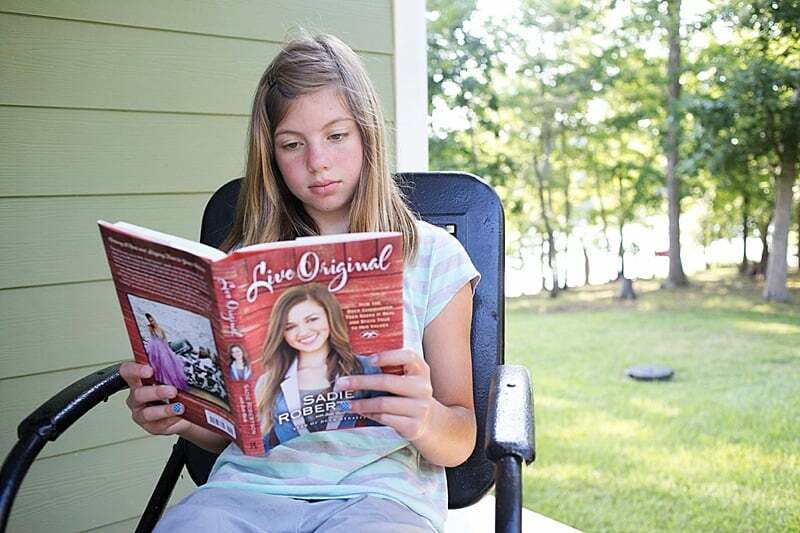 Live Original is perfect for tween and teen girls. Really, it’s the perfect message for all women, young or old! Great message, beautiful colors and fun patterns… I could barely resist buying everything on the shelf, and keeping most of it for myself. But, I reined myself in, remembering that my tweens might not think it cool to have matching mother/daughter notebooks! 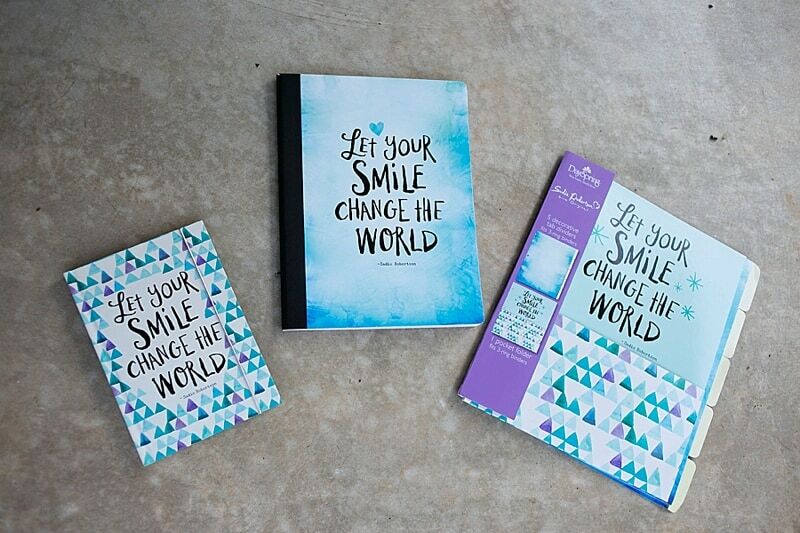 We came home with most of the available “Let Your Smile Change the World” products including a journal, composition notebook, and pocket folder with divider tabs. My girls were very drawn to the message of that particular quote. As tweens, they often feel they can’t yet do much that matters. 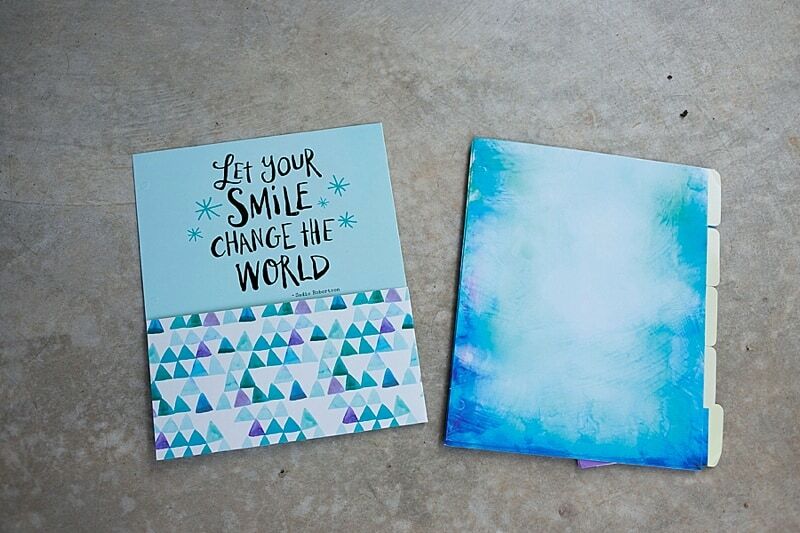 These adorable school supplies remind them of the truth- a positive attitude and the smile that results really can make a difference! My girls will be reminded of that positive message every time they do school work, or write in their journals. 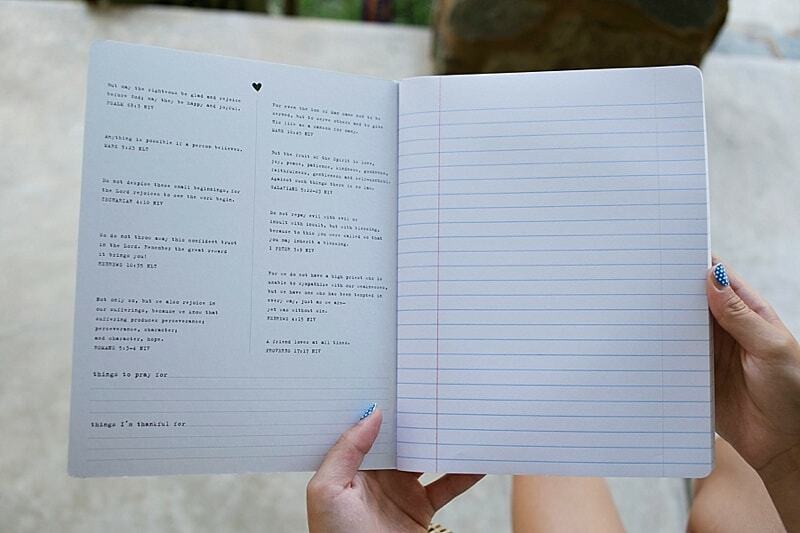 I love the attention to detail on all these adorable school supplies; from the journal’s sweet elastic closure and inspritional verses on every page. to the verses inside front cover of composition notebook. Plus, the school supplies in this line cost $3.99 to $14.99, so they are really affordable too! While at Family Christian, I couldn’t resist picking up Sadie’s book, Live Original: How the Duck Commander Teen Keeps It Real and Stays True to Her Values, for my daughter. She’s just beginning to think about ‘fitting in’ so this book is a perfect way to reinforce all the things I’m trying to teach her. Sometimes, a tween girl just needs advice from a slightly older, really cool girl to realize that maybe all those things Momma says is true! 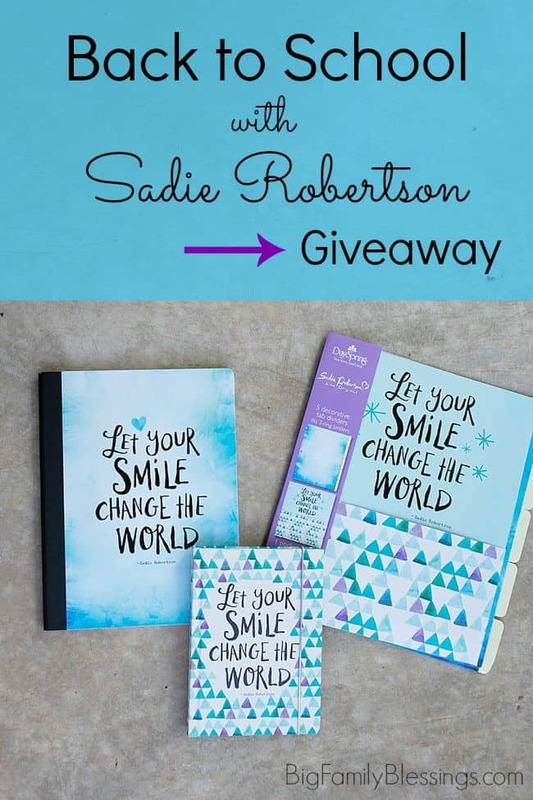 Family Christian would love for your daughter to start the school year off with these beautiful and inspirational school supplies by Sadie Robertson! Enter below to win a $25 Certificate to Family Christian! Which great Sadie quote will your daughter choose? It starts right now and ends August 3, 2015 at 11:59 pm EST. What an awesome line of school supplies! Such a great reminder that a smile can change so many things! 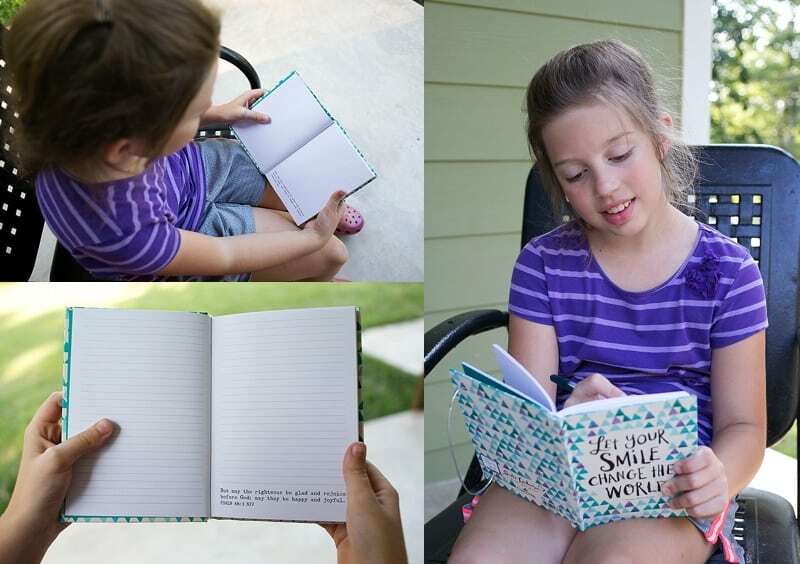 I would love to get the journal for my niece! What a cute line of products! We love Duck Dynasty, too! I really like the smile quote for my little girl. All of Sadie's quotes are special, we really like "There's no one else on Earth like you."